A 62-year-old woman was shot dead a deputy in Vero Beach after she lunged at him with a large butcher knife. VERO BEACH – Indian River County Sheriff Deryl Loar said a deputy acted in self-defense in Vero Beach when he fatally shot a 62-year-old woman who had threatened suicide in her residence Wednesday night. Susan Teel, the wife of Indian River County physician Dr. Dudley Teel, lunged at the deputy with a large butcher knife as they approached the suspect in a room inside the Vero Beach home. 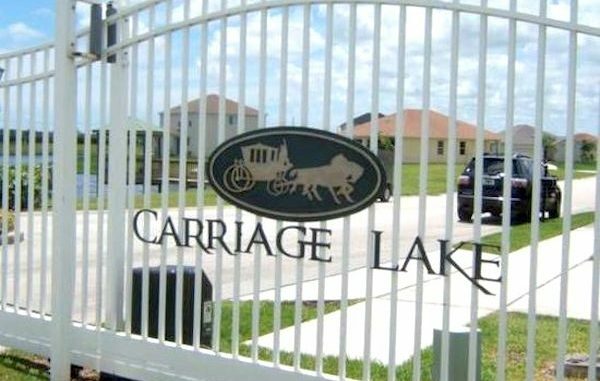 A call was received at the sheriff’s office by the woman’s daughter at around 8:00 p.m. outside the home located in the Carriage Lake Subdivision. Deputies responded within minutes. “The deputy did exactly what he was trained to do … use lethal force … It was the only choice he had,” Sheriff Loar said. Loar said Dr. Dudley Teel found his wife in a bathtub attempting to cut her wrists Wednesday night. The deputy is a five-year veteran of the Indian River County Sheriff’s Office. Per department policy, he’s been put on paid administrative leave, as standard procedure. There have been 24 prior calls to the house, according to Loar. Most of the calls involved family members other than Susan Teel. Another call was made for an attempted suicide by another individual, Loar said. Dr. Dudley Teel is an emergency medicine doctor in Vero Beach and is affiliated with Sebastian River Medical Center.